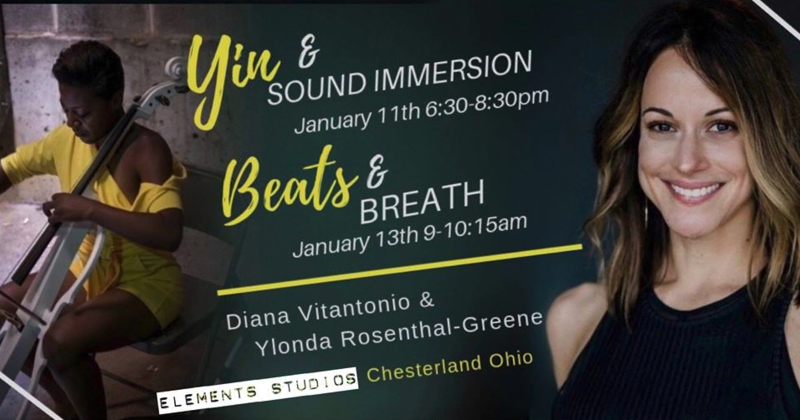 Join special guest teachers Ylonda Rosenthal-Greene and Diana Vitantonio for a yoga and sound experience. We’ll start by getting intentional with a HOT heart-pounding, beat-driven flow that will leave you feeling strong and empowered. Then we’ll slow it down to get grounded with an extended savasana with a live performance of electric cello and singing bowls for a balanced mind/body experience. Click the “Register Now” button below, and scroll to the bottom of the page to find this special event.